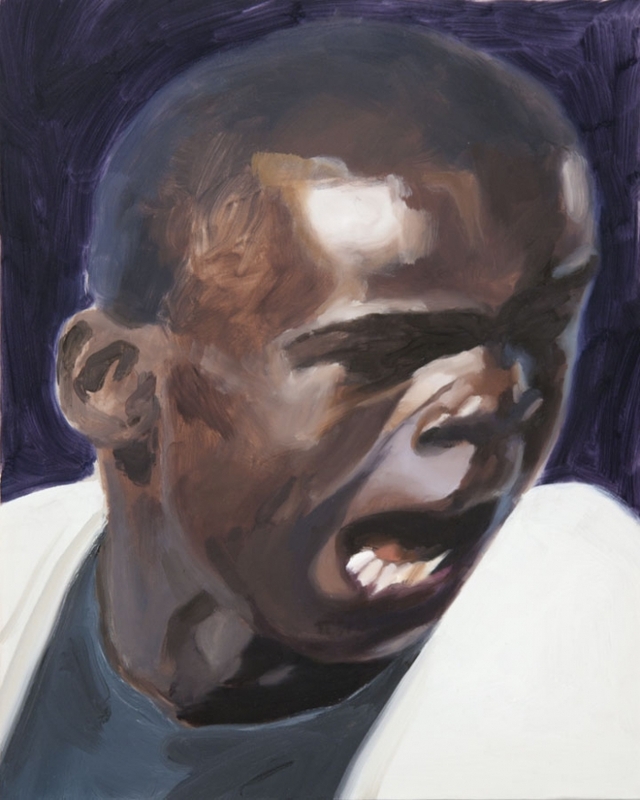 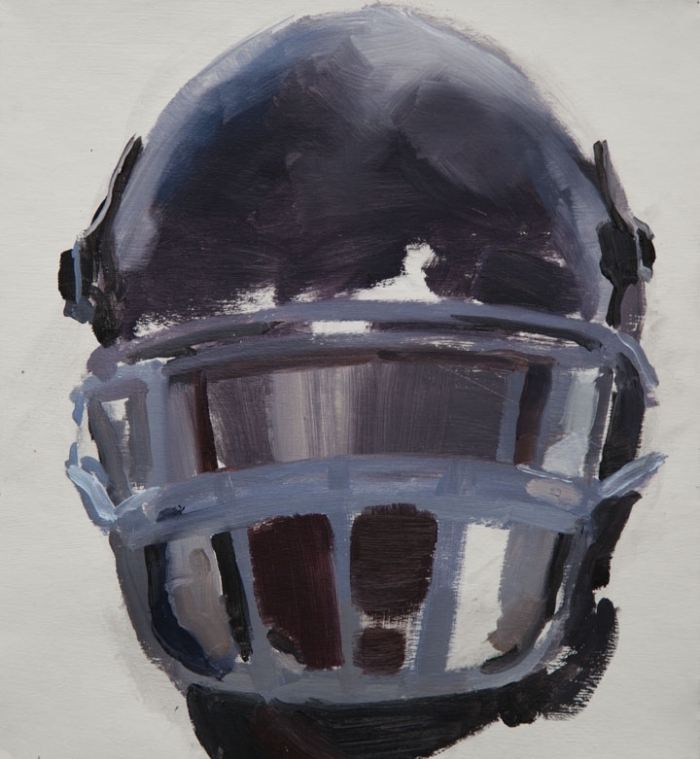 As a former athlete, Abdi Farah’s work for the past few seasons has been inspired by the rhythms, mechanics, ceremony, and accoutrements of sports. 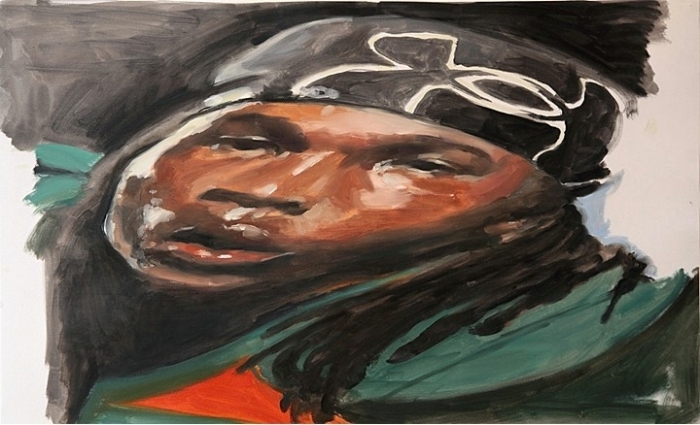 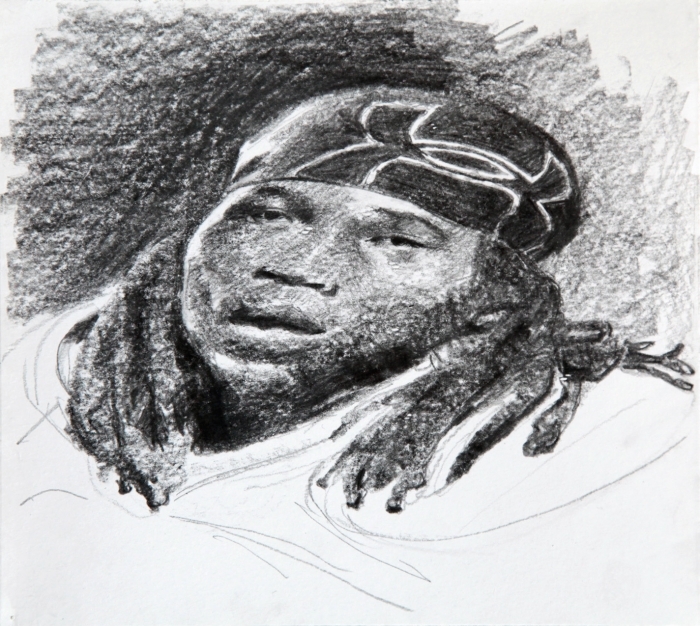 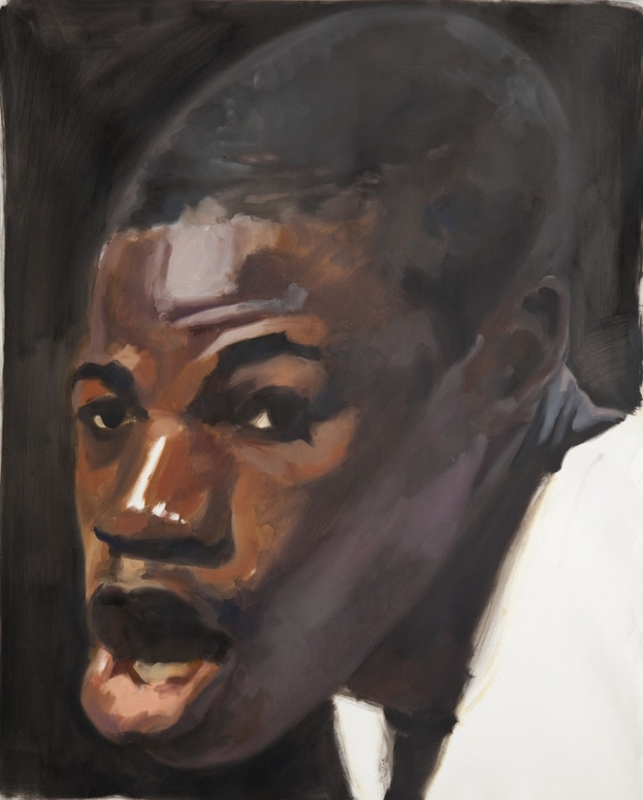 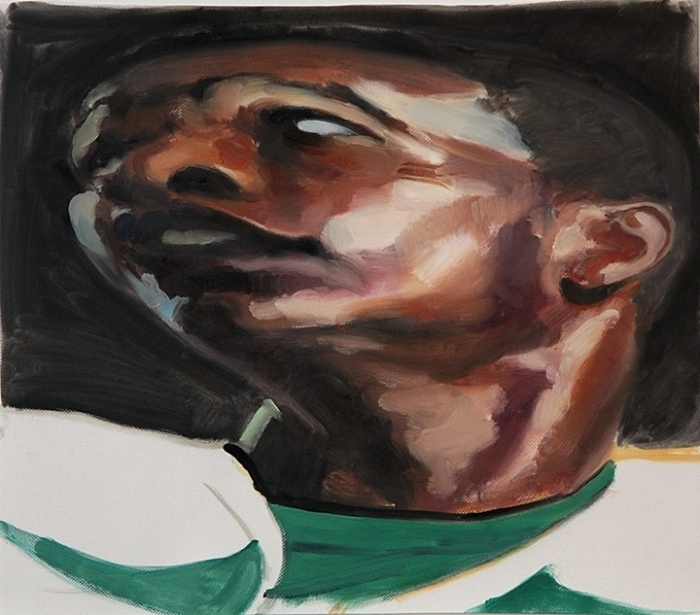 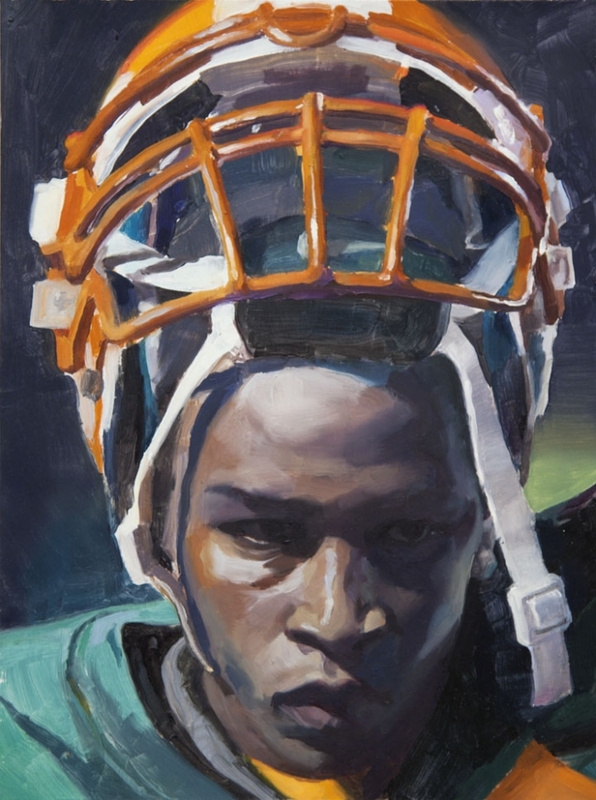 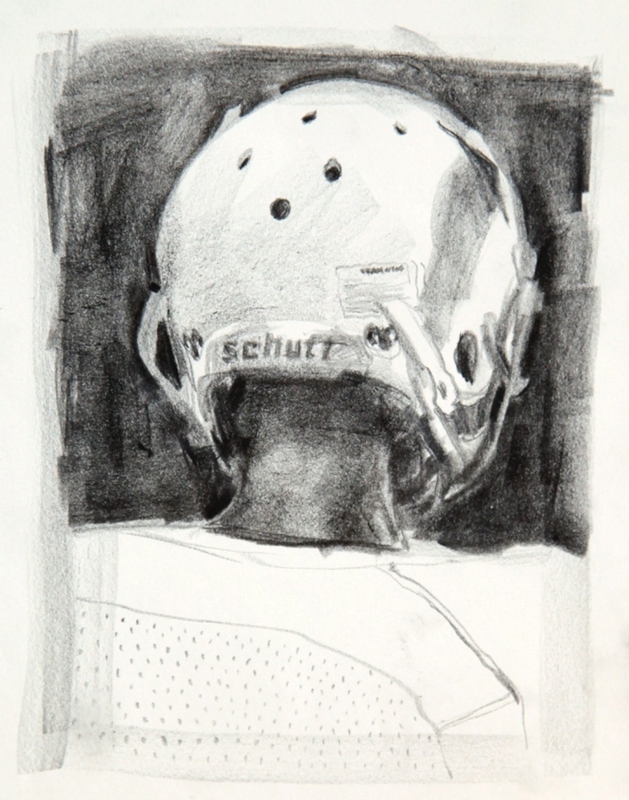 Initially interested in the portraits of young football players, he steadily became more inspired by the equipment, the uniforms, and the props of the game. 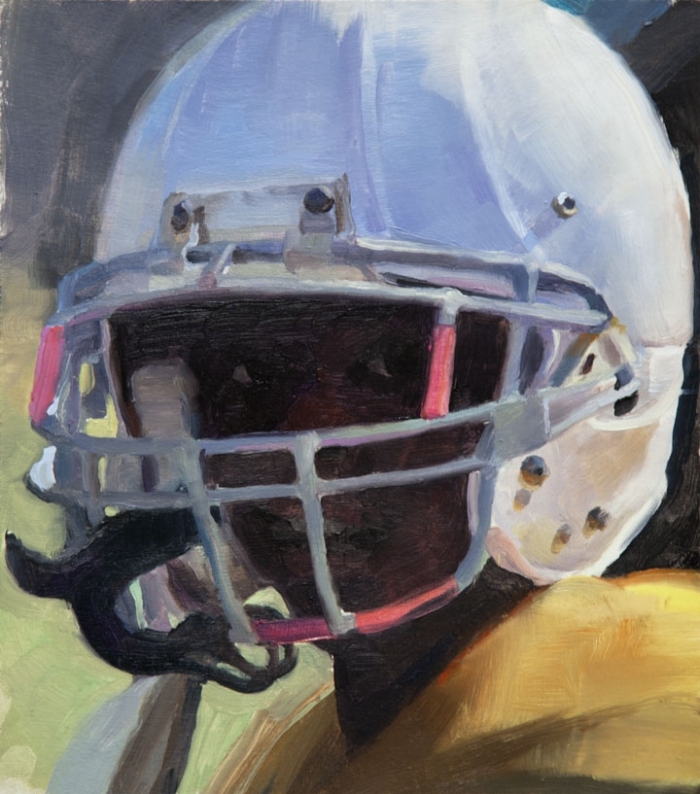 Gashed helmets and dented facemasks bearing record of past battles; the shoulder pads, cleats, and grip-enhancing gloves with their correspondence to the developing teenage bodies they silhouette; the meticulously designed training equipment -- all embody the never-ending story of humanity’s reliance upon technology to maximize one’s potential and gain advantage over one’s adversaries. 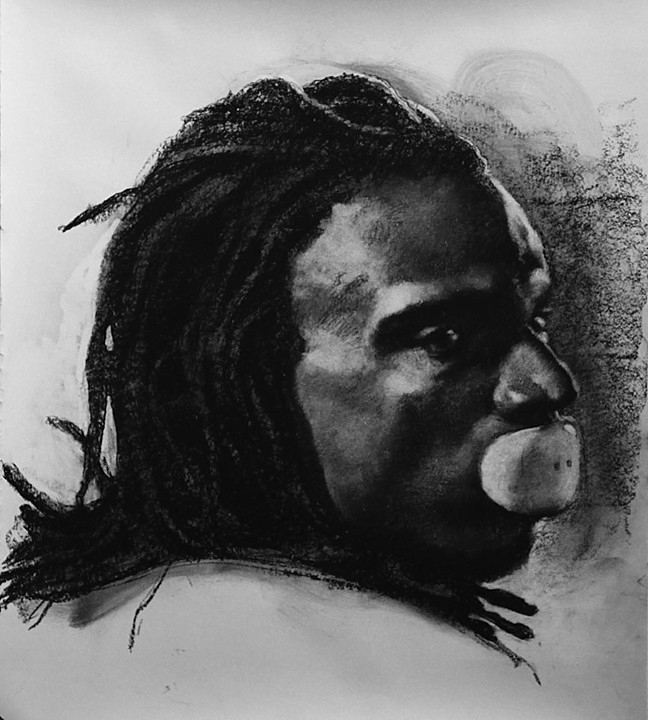 Oil on nylon, 13" x 15"
Charcoal on paper, 20" x 17"
Oil on nylon, 15" x 24"
Graphite on paper, 8.5" x 9"
Graphite on paper, 10" 7"